In a recent addition to the Libertarian Tradition podcast series, part of the Mises Institute’s online media library, Jeff Riggenbach uses Objectivist Robert Bidinotto’s novel Hunter as a launchpad to discuss Objectivist subculture and fear. In a recent conversation with a younger libertarian, I heard something that I found somewhat surprising and somewhat disturbing at the same time. But later, on reflection, I realized that what I had heard should not have surprised me, however much it may still disturb me. My young friend had said, and I paraphrase here, that he was surprised to learn that I thought of Objectivists as libertarians at all. Based on what he had seen of the positions they took on political issues, especially foreign policy, he had concluded that they were just another kind of neocon. I refer to this younger libertarian as “my young friend,” but the fact is, he’s no kid; he’s in his early 40s, which tells you how long the situation with respect to Objectivism that I’m going to describe and deplore has been going on — that a man in his 40s cannot remember a time when leading Objectivists didn’t talk in such a way about questions of US foreign policy (and about other questions as well, as we shall see) that they become hard to differentiate from certain kinds of conservatives and hard to see as any sort of libertarian. But before I get further into that depressing theme, there’s a new book I’d like to commend to your attention. 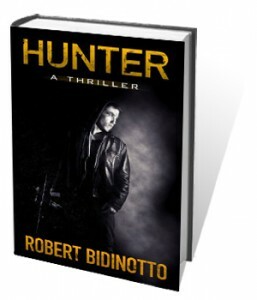 It’s a novel entitled Hunter: A Thriller, and it’s the work of the prominent Objectivist writer Robert Bidinotto. Now, a word of caution. What follows is not properly a book review, because what I’m really interested in talking about here is not Bidinotto’s thriller in its capacity as a novel, an entertainment, a work of “popular art,” but rather what it can tell us in its capacity as a cultural artifact. Also, as we have seen, the artist, by doing all these selfsame things, holds up a “faithful mirror” to the sense of life that dominates the culture or subculture he best fits into in the society in which he lives. And it is with this in mind that I want to discuss Robert Bidinotto’s Hunter. It is, I think, pretty faithful in the way it mirrors the sense of life of the subculture we know as the Objectivist movement. Hunter begins with Annie Woods, a recently divorced Washington, DC–based CIA agent engrossed in the case of a fellow agent, now gone rogue, who has been selling secrets to the Russians, outing US undercover operatives in the process and getting them killed. At a friend’s funeral, she meets a rising local journalist, Dylan Hunter, who specializes in writing investigative pieces about crime. Through his new friend Annie and through the widow of the mutual friend at whose funeral they met, Hunter learns about a crime victims’ support group and attends one of their meetings. He then interviews the various individuals in the group who have lost loved ones to criminals, often only to see those criminals acquitted on technicalities or released early from prison sentences that had never been properly proportionate to the seriousness of their crimes in the first place. Hunter begins writing a series of Sunday articles about these and similar local cases. And he attracts many readers, some of whom are, shall we say, more serious about what they read than others. Some of them, or so it soon begins to appear, are what you might call “deadly” serious about what they read. For someone — or some group of someones — has begun systematically tracking down each of the leniently treated criminals profiled in Hunter’s articles and killing them, leaving a copy of the relevant article pinned to the chest of each bloody corpse. Meanwhile Annie and Hunter have become something of an item, though she is intermittently troubled by her inability to find any information at all on her new boyfriend that goes back any further than two or three years. Who is executing these criminals? And who is Hunter? Bidinotto’s tale is very cleverly put together. It kept me reading on the edge of my seat, so to speak, for two full days. But, more to my present point, what does it suggest about the current state of the Objectivist subculture? What sense of life does it project? I’m sorry to report that it projects a sense of life dominated by the emotions of fear and vindictive anger. It projects the sense that the individual is alone and, too often, defenseless in a scary, dangerous world in which other people are out to get him — out to take away from him what is rightfully his, and to assault and torture him just for the fun of it, and to kill him if that turns out to be convenient. Some might wonder at this point just why these murderous people are so, well, murderous — why they are so intent on committing crimes of this kind. But in the world contemporary Objectivists see when they open their eyes and look around, it is vain to ask such questions. In fact, it is worse than vain; for any inquiry into the reasons — good, bad, or idiotic — that someone might have had for doing what he did implies (somehow) that there may be some excuse for what he did. These criminals do what they do because they are “animals” and “dirtbags.” It is in their nature. The only thing any decent individual can do is hope that these subhuman creatures are locked up in the darkest available hole and never let out. Or maybe they should just be exterminated like rodents or roaches. It is clear from their views on US foreign policy that most Objectivists today live in the very same frightening world that I have just described. Bidinotto himself made the connection between these two issues, domestic crime and international peace, in a notorious series of attacks on Ron Paul back in 2007 and 2008 on his personal blog and in the New Individualist, the monthly magazine he was editing back then for the Atlas Society. Some people claim that Bidinotto lost his job as editor of the New Individualist as a direct result of these articles, which allegedly offended some wealthy Objectivist Ron Paul supporters. the same sort of arguments advanced by many libertarians … to “explain” the anti-American actions of foreign terrorists, also have been offered by liberals to “explain” the heinous acts of common criminals. Read any sociology or criminology text, and you’ll find endless laundry lists of “causal explanations” for crime: poverty, neglect, poor parenting, lousy schools, poor “socialization,” inadequate pre-natal care, hunger, disease, bullying, racism, police brutality, social stigmatizing, untreated psychological disorders, victimless-crime laws … you name it. liberal social-science professionals treat the actions of home-grown criminal thugs as “blowback” for the alleged sins of American society against them. These bloody acts are never the terrorist’s or the criminal’s “fault” (responsibility), you see; rather, they are all our fault, for “driving him” to do his dastardly deeds. You may remember that during the Cold War, precisely the same sort of “explanations” were offered by liberals and, later, by left-libertarians such as Murray Rothbard to lay the blame for Communist aggression at the West’s (especially America’s) doorstep. It was our imperialist provocations around the world that were “driving” the Soviet bloc to “respond” by conquering and butchering millions, building weapons of mass destruction, constructing the Berlin Wall, etc. It was our economic and cultural “imperialism” that was driving indigenous peoples everywhere into the arms of the communists. I defy anyone to draw a rational, meaningful distinction between such “explanations” for criminal or terrorist aggression, and “excuses” for it. After all, “causal explanations” for human actions aim at exonerating the actor for committing them, by treating those acts as if they were not under the actor’s conscious, volitional control, but as if they were instead deterministically driven “responses” to external provocations or “causes. ” Just as I reject the liberal “excuse-making industry” that denies volition and rationalizes the acts of criminals, I am totally fed up with the disgraceful foreign-policy perspectives of those libertarians who portray the United States as the causal agent of every evil on earth — thus rationalizing the atrocities of foreign terrorists and despots. One receives the definite impression that few if any of these leading Objectivists have ever met a war they didn’t like. Further, neither Ron Paul nor any other libertarian I’ve ever encountered, in print or in person, has ever said that the 9/11 terrorists — or any other terrorists anywhere — were not responsible for their actions, or that “those acts … were not under the actor’s conscious, volitional control.” Of course they were. Of course the terrorists are responsible for what they chose to do. Does this mean it is useless to inquire into their reasons for choosing as they did? Is it more useful, more helpful, to instead angrily denounce them as “savages” or “animals” and then attempt to blow up anything and everything within a radius of 50 miles or so from the spot where “we” think they may be hiding? Is making war really the best response to a terrorist attack like the one that took place on September 11, 2001? So one would deduce from the public pronouncements of leading Objectivists over the past decade. One receives the definite impression that few if any of these leading Objectivists have ever met a war they didn’t like — or, at least believed, with the grim, firm-jawed determination they felt was appropriate to a Randian hero, was somehow “necessary.” A war is a campaign of mass destruction and mass murder carried out by governments. In what morally coherent sense could such a thing be deemed “necessary”? are the second greatest evil that human societies can perpetrate. (The first is dictatorship, the enslavement of their own citizens, which is the cause of wars.) When a nation resorts to war, it has some purpose, rightly or wrongly, something to fight for — and the only justifiable purpose is self-defense. who lost loved ones in World War I. There are more people who carry the unhealed wounds of World War II, of Korea, of Vietnam. There are the disabled, the crippled, the mangled of those wars’ battlefields. No one has ever told them why they had to fight nor what their sacrifices accomplished; it was certainly not “to make the world safe for democracy” — look at that world now. The American people have borne it all, trusting their leaders, hoping that someone knew the purpose of that ghastly devastation. The United States gained nothing from those wars, except the growing burden of paying reparations to the whole world — the kind of burden that used to be imposed on a defeated nation. There was a dark, pessimistic side to Rand’s sense of life, certainly — think of We the Living and of the opening chapters in Atlas Shrugged — but Rand never seemed completely consumed by fear and vengeful anger in the way her contemporary followers do. And this is a tragedy, because Rand and Objectivism were such an important force for good in the early history of the contemporary libertarian movement. There was a time when it seemed that most libertarians were Randians. And even if that’s a slight (or more than slight) exaggeration, the Randian influence on the early contemporary movement was undeniably substantial. When the Society for Individual Liberty did a study of Libertarian Party members in the early 1970s, they found that more than a third of them were self-described Objectivists. As recently as 2008, the Liberty Poll, conducted by Liberty magazine, reported that “the thinker who most influenced our respondents’ intellectual development was Ayn Rand.” And though, as I’ve said, her outlook on things did have its dark corners, Ayn Rand was basically an exponent of a bold, adventurous, confident sense of life, the sort of sense of life you’d expect to be associated with libertarian ideas. Rand’s heroes weren’t generals or people in law enforcement; they were engineers, inventors, designers — people focused on what they could do with their lives, not people preoccupied with the supposed menace to all their hopes and dreams posed by a vast army of almost unimaginably vicious antagonists who seek to destroy them for no reason at all. One is reminded of Benjamin R. Tucker’s observation that libertarian anarchists of his stripe were just “unterrified Jeffersonian democrats.” If Tucker thought the Jeffersonians were terrified because of their determination to cling to the institution of government, what would he think of today’s Objectivists? Of course, Robert Bidinotto and his fellow fear mongers will tell you that they’re terrified with perfectly good reason — after all, haven’t “we” been victimized by terrorist attacks in the last decade? Did not thousands die? But the events of 9/11 did not terrify the Objectivists. They were already terrified for no reason long before that; they merely use the 9/11 attacks as a pretext, in an effort to make their terror look less irrational and absurd than it actually is. The vigilantism in the novel is intended solely as a fictional device to highlight and dramatize the complete absence of justice in the current legal system. I deliberately crafted the [vigilante character] in the novel to hold a clear, specific code of honor regarding his illegal actions. He only kills killers; he does not target public officials with violence, but only with “poetic justice”; he takes no actions that will threaten innocents; and he would rather be arrested than use violence against cops. But in the real world, vigilantism would never be subject to such honorable constraints. Instead, it would degenerate into a violent competition of reprisals and vendettas unlimited by any moral or legal principle. Does Bidinotto not see that this is an excellent description of exactly how his beloved “War on Terror” has worked out in practice — and of how it must work out in practice? The US government claims that its warmaking is “subject to honorable constraints,” and that it strives to avoid taking “actions that will threaten innocents,” but this is the real world, and in the real world, whatever high-minded platitudes politicians and military people may mouth, war is never anything but “a violent competition of reprisals and vendettas unlimited by any moral or legal principle” — a competition in which innocents are maimed and killed and their property is senselessly destroyed. early in life, and in the form of stories — or what I call Narratives. The myths that we learn in childhood, at Mother’s knee, in church, in schools, in films and novels, represent primitive, fundamental interpretive stories about our world: how it works, what it means, what is right or wrong, who are the Good Guys and the Bad Guys. These Narratives are pre-philosophical; in fact, they are acquired in their germinal forms while we are still far too young to subject them to critical analysis. They thus actually tend todetermine which abstract philosophies, ideologies, economic theories, and political policies we later find appealing. These latter “feel right” to us largely because they mesh with the myths, fairy tales, parables, and stories we already absorbed during childhood. Moreover, the more deep-rooted the myth — either personally and/or culturally — the more desperately we cling to it. We cling to it even when it may sometimes be utterly false, and lead us over a cliff. We cling to it because to challenge or criticize it means to unravel a lifetime of investments in values, choices, relationships, careers, emotions, and money. And who wants to do that? I’ve found it to be increasingly pointless to argue philosophy, economics, and politics with most people. Why? Because we are talking past each other. You may prove a point with unassailable facts and irrefutable logic. However, the other person replies, “Yes, but…” Those words usually signal that you’ve reached the ultimate barrier to further reasoning and communication: You’ve challenged his Narrative. And in my experience, that is ground he’ll rarely, if ever, concede. I think everyone who has read up to this point knows what sort of narrative defines the world for Robert Bidinotto. You can get a taste of it in his new novel, Hunter. It makes for an absorbing read, as I’ve indicated. But as a guide to real life and the real world, it is sorely skewed. It’s too bad, really. From what small dealings I’ve had with him, I’d say that Robert Bidinotto is a good guy. He’s highly intelligent, with a genuine knack for putting words together, and, on top of that, he has the good sense to grasp the truth about the importance of private property and free markets to civilization. It’s damned inconvenient for the rest of us in the libertarian movement that he and so many others like him are so damn terrified. 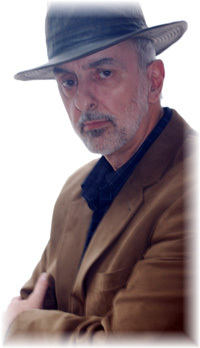 Jeff Riggenbach is a journalist, author, editor, broadcaster, and educator. A member of the Organization of American Historians and a senior fellow at the Randolph Bourne Institute, he has written for such newspapers as the New York Times, USA Today, the Los Angeles Times, and the San Francisco Chronicle; such magazines asReason, Inquiry, and Liberty; and such websites as LewRockwell.com, AntiWar.com, and RationalReview.com. 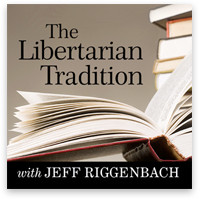 Drawing on vocal skills he honed in classical and all-news radio in Los Angeles, San Francisco, and Houston, Riggenbach has also narrated the audiobook versions of numerous libertarian works.